Well, what do you know. Just a few weeks ago Kingston stunned us with the release of the world’s first 128GB Flash Drive. And before we even have room to breathe they top it off with the world’s first 256GB flash drive. That’s right – 256GB of space in a tiny portable USB disk. We surely live in crazy, fast-paced times! 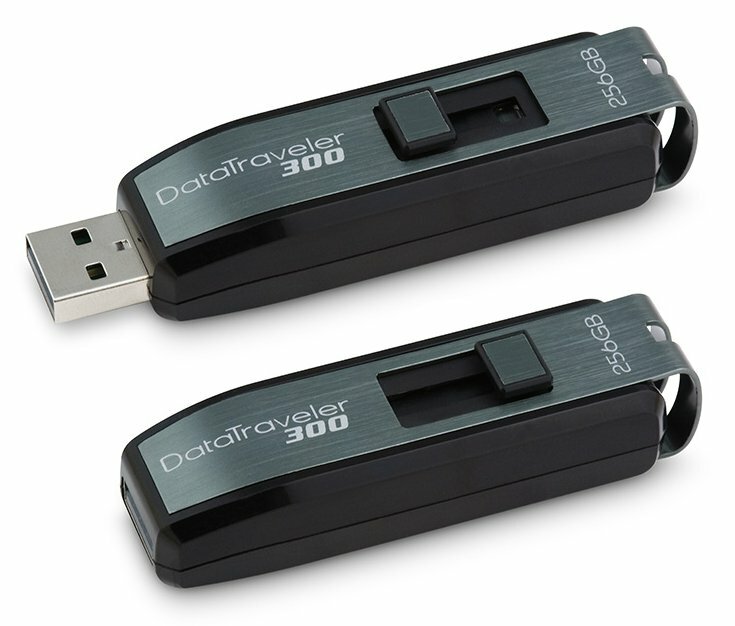 So on that note, say hello to the DataTraveler 300. I don’t know about you, but to me it definitely has a US-feel to it. It actually reminds of a 60s Corvette merged with a modern Yukon XL. So you gotta wonder what resumes the architects at Kingston can boast with. Of course the comparison with a Corvette may lack in terms of speed but the new USB 3.0 standard is about to fix that. 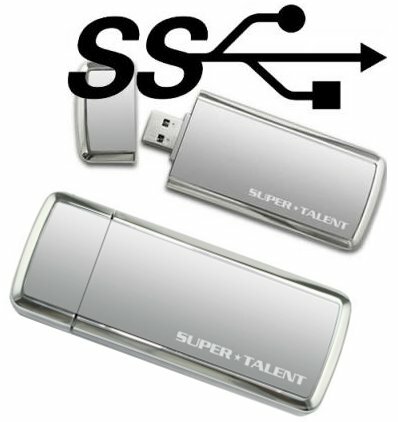 So here we have with the first super speed 256GB flash drive, who also guarantees super security: the so called SuperCrypt by Super Talent. I know, that’s 4 times “super” in one sentence – but hey, credit where credit’s due. You may ask yourself of course, why would I need a 256GB flash drive? Well, maybe you’d like to back up your laptop, or both of them or all three of them. Or maybe you’d like to copy your entire DVD-collection or/and/or/or/and. The endless storage possibilities of this amazing capacity can be marveled at in the list below. But don’t hold your breath – maybe the DataTraveler 3000 is just around the corner. 128 266666 (4444h 26min) 66666 x 4min. 160 213333 (3333h 33min) 53333 x 4min. 192 177777 (2222h 57min) 44444 x 4min. If my calculations are right you should be able to fit about 320 movies on there! It’s crazy and its getting smaller and smaller, whats it gonna be like in 10 years time? It depends on the movie lengths and file format, see my list above. In 10 years we probably dont even have flash drives anymore, but some holographic storage! Our technology is realy fast paced isn’t it? I remember my first 20 Gb. Hard drive about the size of a block and now we can see a 250 Gb. flash drive in sticks. What more can we expect for the next 5 years? maybe a Terabyte on a microstick is next. Wow, I can’t believe how much memory you can squeeze into these things nowdays, it really is amazing! I probably ought to have posted this here instead of on the 128GB page. It’s simply astonishing to me how fast the technology for data storage is progressing. I just hope it doesn’t get ripped out like my last one! .-= Paul´s last [blog post] ..Online CNA Classes =-. Thanks for the information, Scott! So that explains why the DataTraveler 300 hasn’t really been available in the US. I guess that model didn’t fly as well as in other countries so Kingston has come up with a smaller, refined design just for the American market. I will update accordingly! Once again thanks, you’ve been a great resource for the past few days Scott. Paul, what do you mean with “ripped out”? Are you saying you actually had a 256GB flash drive and it broke? You’re welcome. I am having fun researching what’s out there these days. I must say, I am tempted to bid on some of those 128GB Kingston drives on Ebay. We’ll see. If you do, please report back and tell us if you got the real deal. Hey, has anyone bought one of these yet? I’m interested to know reliability and transfer rate etc. Donny, as you can glean from the post, the DT300 has a transfer rate of 20MB/s and 10MB/s (read/write) while the DT310 is a bit faster with 25MB/s and 12MB/s respectively. As for reliability, I’m pretty sure Kingston has put a lot of effort into that. Of course one can never be absolutely certain and user experiences usually vary. But just the fact that they give out a 5 year warranty speaks for it IMO. I seriously doubt that in a year or so you will be able to buy a 512GB flash drive for only $500. This is so cool! I wanna get one of these to carry my movies around on! Kingston stuff always rocks! .-= Tankless Water Heaters´s last blog post ..How do I shut off the water heater? What is the typical cost to replace one? =-. Wow!! This is the coolest flash drive I’ve seen till now. Price is also affordable and also the size is small and comfortably portable. Thanks for sharing. Nice. Cool. Kingston is making the world of computers more interesting to live in. Flash drives such as this one is really a big help for people like me who want to save time and money. With the help of this flash disk we can save and store any amount of data we want to. Thanks for sharing wonderful information. .-= Rich´s last blog post ..Smart Partition Recovery =-. The one advertised at $85.71 has got to be a fake. .-= Gray´s last blog post ..CNA Sample Questions =-. if you check out the bottom of my 128GB post you can read more about the fake flash drives. As you can see fakes exist for pretty much every capacity, however they are very rare for 256GB. No worries though, I’m doing my best to filter out these obvious fakes from my referral links. If you still find a cheap high capacity drive that sounds to good to be true you can be assured it is. .-= Graham´s last blog post ..Red Cross CNA Classes requirements to take it- why is it worthwhile- etc =-. @Memory: That had to be fake. They’re very clever with creating false properties screenshots which will show up on your own computer too. You can check out my 128GB flash drive post for an example of that. I just bought a Kingston Datatraveler 310 256GB USB Flash drive from a Chinese seller on Ebay for $16.99 including shipping. So far he’s sold 101 of them. Of course it’s fake, but for that price it’ll be fun to play with and see what the actual HOLDING capacity is. I can impress my friends and in the end most likely get my money refunded from paypal. so what is the actual holding capacity – 2GB? 4GB? Have you checked yet? Would be funny if it was just 256 MEGAbyte. Sure, your friends would be impressed initially but later they would be upset with you. No? Are any of the ebay kingston 310 genuine for the $50/free shipping buy-it-now, able to be genuine? you can assume that such offers are not genuine products. See my post on 128GB flash drives for further information. .-= Rob´s last blog post ..5 Very Simple Reasons To Hire Car Shippers =-. wao man its totally incredible!!! does any one has a idea regarding its price? Sajid, pricing varies a bit. Check the links for more details. Hello on Ebay there is some datatraveler 200 at only 30 dollars, wath is ti worth? copies? If yes, why do they let this happen? usually the DT 200 costs between $350-500. So its likely that this guy is selling them as fakes (probably a lower capacity DT model painted over to look like the 128GB). There’s always the possibility that these are from clearance sales, overstocks, insolvencies etc but its unlikely. What makes me suspicious about this seller is that he has feedback only as a buyer but not seller. So thats a red flag right there. Why do they let this happen? Ive been wondering that myself. Ive had emails going back and forth with ebay and the point is simply that consider the large volume of listings generated on ebay everyday its pretty much impossible to identify all the ones with fraudulent intentions. Sadly ebay seems to rely almost exclusively on the “report a suspicious/fradulent listing” feature. So by all means, if you guys see one, report one. Ebay is usually very quick in removing the listings if the suspicion holds up. Hopefully this will discourage a percentage of the scammers. Flash drives are the 8 tracks of our time. These counterfeits will be the death of Kingston 310 256GB. What else will these counterfeiters make for a buck, pace makers? if it meant the death of the DT310 then the counterfeiters would have won. We can prevent that from happening if we keep a watchful eye. 256GB flash drive for USB 3.0? Hmm, can’t wait to see one. How big is it anyway? you can see the measurements of the SuperCrypt in the specs, right under the LED entry. It is given as 95 x 34 x 15.4mm. Pretty neat size IMO if you consider the capacities. Pretty new to ebay ,glad you pointed out the 100% feedback was for being buyer and not seller . Will keep an eye out for this in future . Most laptops/desktops do not use drives of that size for primary drives. I think that HDD will remain in the archival storage space for some time after it has been replaced for OS drives, as DB mentioned. 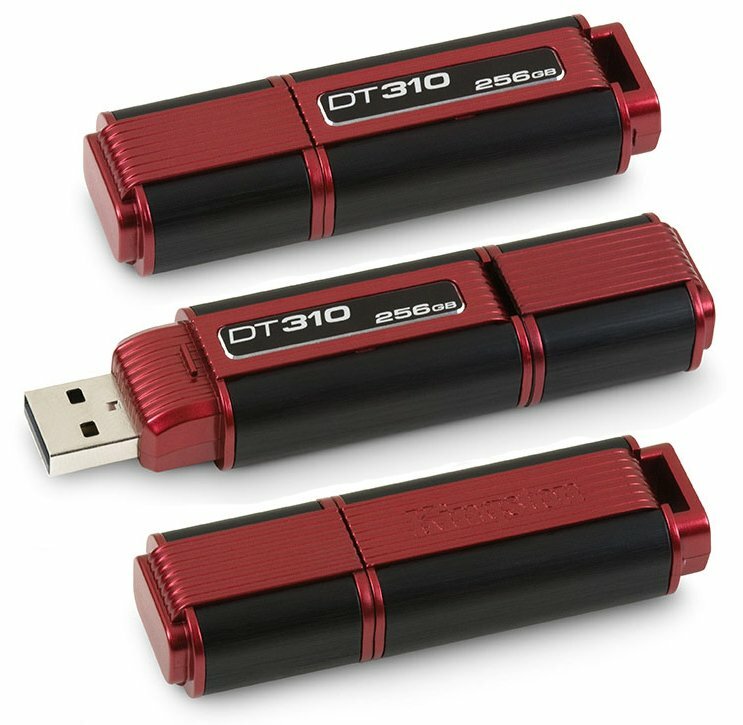 So flash drives are getting cheaper and cheaper-but I recently noticed that a site called Woot that focuses on daily deals had a deal for one of these. I wouldn’t be surprised if it came up again as that happens all the time so keep a look out!